Dio is the primary antagonist of Part I: Phantom Blood. Dio was born the son of Dario Brando. When Dario died, Dio was adopted by George Joestar and became rivals with Jonathan Joestar. Harnessing the power of the Stone Mask, Dio became a powerful vampire. 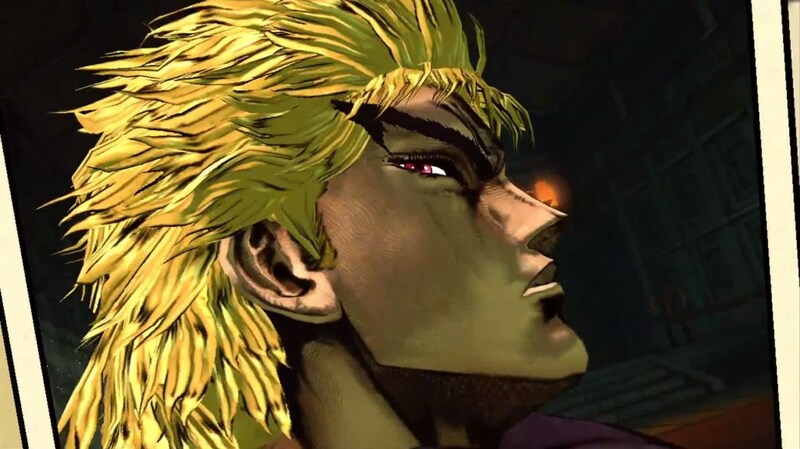 In his first fighting game appearance, Dio appears as he does in Part III: Stardust Crusaders. Phantom Blood Dio... one recklessly evil, badass vampire dude. I did read Part 1 of the JoJo manga, and enjoyed it for what it is. 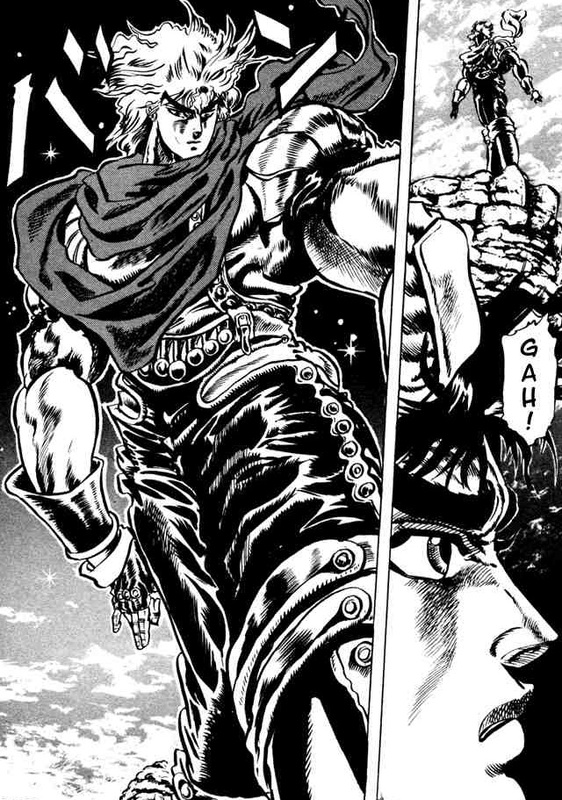 Dio's a real douchebag to Jonathan Joestar throughout the entire manga, so he's a pretty "hate-able" badguy. I usually like villains, but I kept rooting for Jonathan in the manga... hehe. 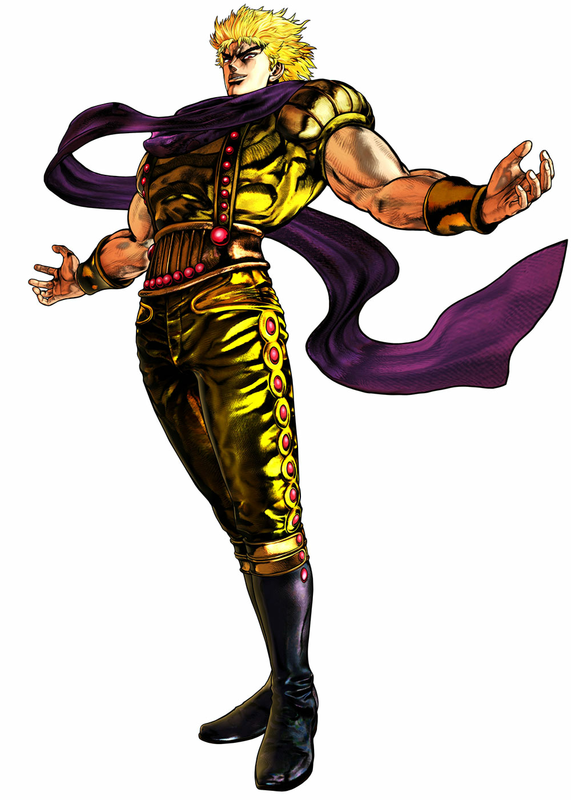 Anyhow, Phantom Blood Dio's fighting game debut was pretty epic. They brought new life into many of his evil mannerisms, and his fighting style is pretty awesome. I love his super jump animations for some reason... and his super moves are just badass.